​We've been overwhelmed by the response to our announcement of closing the doors to Healing Vaidya Foundation. As a result of this, we are now looking for ways to keep the empowering going and we could use your help in deciding what's the best way to move forward and in what direction. Ultimately we wish to empower you so let us know, what are we should focus on from the options provided here. Thank you! 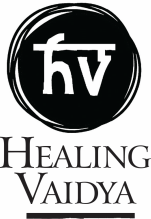 It is with a heavy heart that I must say that effective immediately, Healing Vaidya Foundation will be closing its doors. Over the last 4 years we’ve spoken, met and consulted with over 35,000 patients across the globe and managed to inspire, educate and empower individuals to be in the driver’s seat of their own life. While it was always my goal to offer free guidance, unfortunately while the work we did was greatly appreciated by some, it proved challenging to have ongoing funding support. I wanted this NGO to be about ideas and not selling a product. But unfortunately while at the individual level I was able to effect change, on a larger platform, this proved challenging. Healing Vaidya Foundation was set up as a place for the proceeds of Holy Cancer: How A Cow Saved My Life, my memoir, to be used towards the greater service of the community. I’m grateful that it managed to accomplish this and then some. While I will continue to spread the NGO’s message, I want to thank all of you who understood our objective and helped to see it through. I wish we would have had the endowments needed to turn this into what I had envisioned but then again, life isn’t about what we plan, it’s about how it evolves. Here’s to continued good health for all of us. We are empowerers...no matter what. To keep up with updates about our founder, please visit www.live4todayamit.com or follow him on Instagram & Twitter.